The Raider is the student-run news site of Eleanor Roosevelt High School. It is published entirely by and for the students of ERHS. 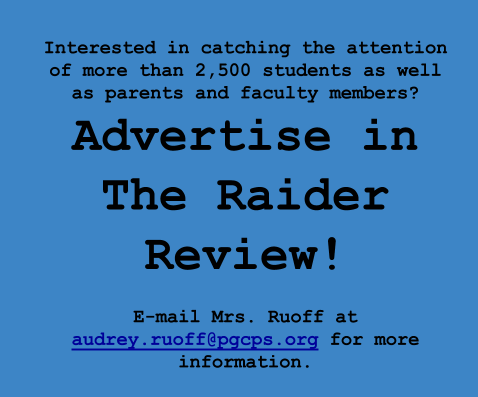 While there is a staff that works to compose every issue of The Raider Review, we welcome contributions, suggestions, comments, criticisms, questions, and articles.